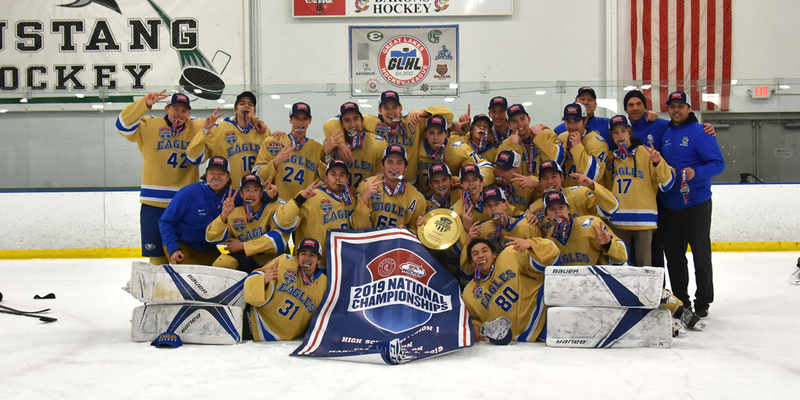 STRONGSVILLE, Ohio - The Santa Margarita Eagles earned their second consecutive High School National Championship on Monday. The Eagles knocked off Edina Junior Gold A, 4-1, to claim the Div. 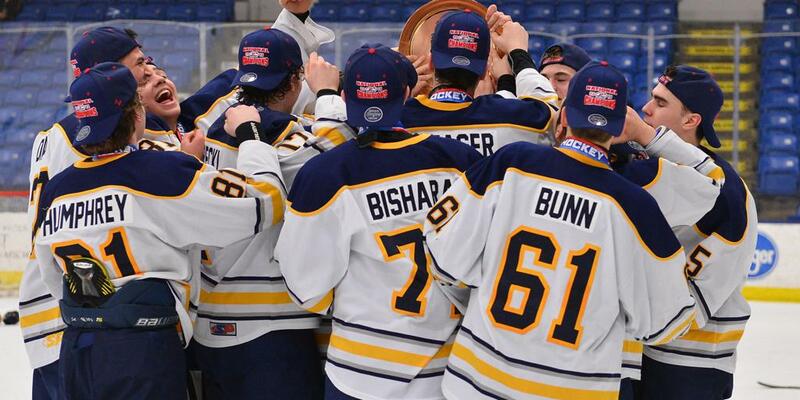 I title at the Chipotle-USA Hockey High School National Championships in Cleveland. Joshua Hyden was the biggest difference in Monday’s win as he earned a hat trick after scoring three goals in the second period. After a scoreless first period the line of Hyden, Brendan Williams and Joseph Felicicchia went to work. All three of Hyden’s goal were tallied in a span of just over seven-and-a-half minutes in the second period with Felicicchia and Williams each assisting on two of the goals. Axel Carlberg also earned an assist. In this tournament, Hyden and Williams each tallied 13 points while Felicicchia had eight. Those numbers were good enough to put them among the tournament leaders. While Hyden might have been the star of Monday’s final, he was more happy for his teammates. Monday’s game was not only a chance at a national championship. The Eagles also had the chance to extract some revenge after losing to Edina 2-1 on Saturday in their final pool play game of the tournament. Despite the loss, Edina coach Bill Smith believed his team put forth the maximum effort. That was led by captains Michael Miller, Ian Stentz and Sammy Sherod. The lone goal from the Minnesota-based team came in the second period when TJ Mahoney scored to tie the game at 1. In addition to winning consecutive national championships, the Eagles won this event in 2013 and were second place finishers in 2017 in Cleveland.